This Course is currently bundled as a BONUS with a 90 minute One on One Book Un-packing Session for a special price of $147.00 USD. 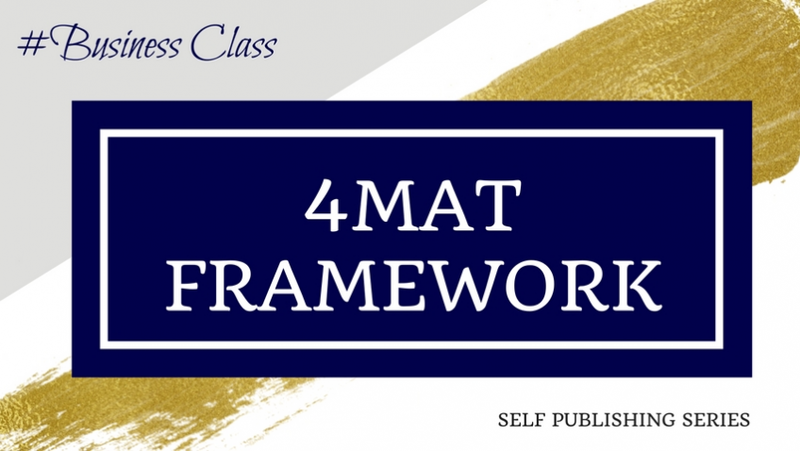 Learn the SECRET SAUCE of confident and successful presenters and authors - The 4MAT Framework. Although your audience, students and readers may fit into a similar design of the ideal client - each member will still have his or her own unique receiving and processing style of information. Originally designed by Dr. Bernice McCarthy to engage and connect with the different learning styles of students, it has easily adapted to assisting aspiring authors write their books easily and effortlessly. Join me for this training where not only with I take you through the breakdown of Framework, I will also share with you how it can help your "think on your feet".